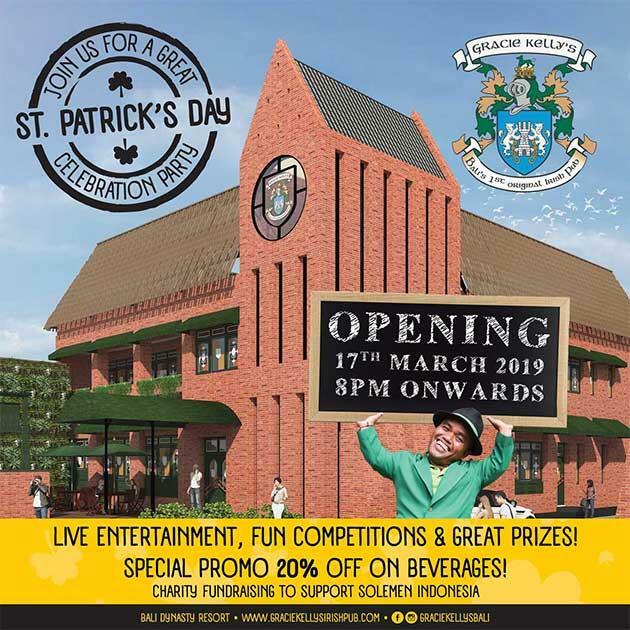 Join us at the Opening Party of the brand new Gracie Kelly’s Irish Pub and St. Patricks Day Celebration Party! Enjoy 20% off on beverages, live entertainment and chance to win great prizes! This Sunday, 17th March 2019 at 8PM.